Most of us love to listen to music, and the enjoyment is doubled when we are on the go. While roaming around, we need headphones that we can connect to our phone, and listen to our favorite music. It’s been three decades we are using the tangled wires to experience awesome sound output. Before the advent of Smartphones, Walkman was popular to listen to songs on the go which people used a lot in the past. In fact, I have used Walkman for a long time as well. Nowadays our smartphone is well enough to play music at the best sound quality. All we need is to get the best headphones. 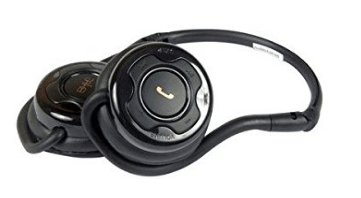 Gone, are the days when we used wired headphones, it’s time for wireless headphones that connect to your device using Bluetooth technology, and you get rid of tangling wires. Moreover, if you are fond of listening to songs at home on the high volume you can use the best portable Bluetooth speakers as well. Find out more at Your Smart Home Guide. However, we are going to talk about earphones and headsets. In this blog post, I am not just sharing a list of wireless headphones but I am sharing a complete list of different types of sound devices such as Wireless headsets, Wireless Headphones, and Earphones. Without any further ado, Check out the big list of 40 best headsets, headphones, and earphones. If you cannot afford branded expensive wireless music headphones, you can go for Acid Eye Bluetooth Min 503 which is priced only at Rs. 649. And, no doubt it is one of the coolest and the best wireless headphones under 1000 rupees. Its Bluetooth version is 3.0, and it can be used listen to songs. Moreover, it has call receiving functionality as well so that you don’t need to touch your phone to receive a call. If you have this headphone is already there just set in your ears, and receive the call. Apart from this, you can also change the songs and control volume from this headphone only. It gives you the best feel of wireless as you don’t have to take your phone for changing songs, controlling volume, and even to receive calls. This cool wireless headphone has the dimension 12.3 x 10.7 x 3.6 cm, and it weighs 91 grams. 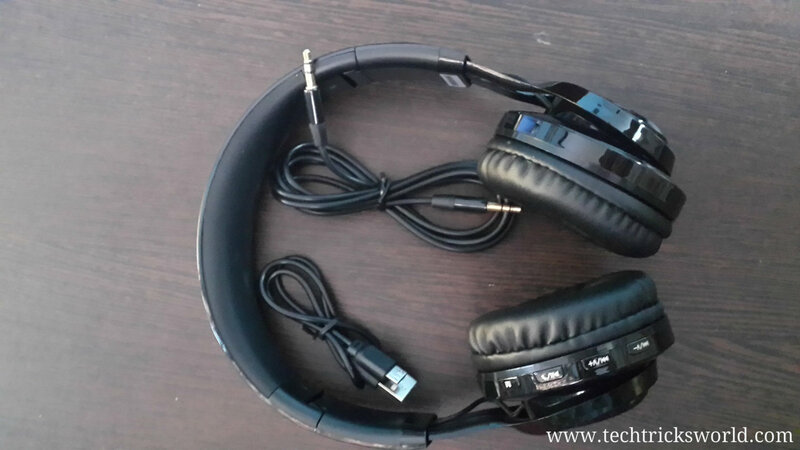 Another low-cost wireless headphone is SH-10 Black which has inbuilt FM as well that you can listen to without connecting to your phone even. Priced at Rs. 949, SH-10 is one of the cheapest wireless music headphones in India. The category of best wireless headphones under 1000 cannot be completed without this cool headphone. It has inbuilt memory, and it is expandable up to 32 GB. Every control is there on the headphone itself such as receiving calls, controlling playback, FM, etc. This hedphone weighs 200 grams. The bass of this headphone is quite good which gives you the pleasing experience of listening songs with high beats. You can experience good bass with Life Like S460 Bluetooth Headphone which is a good option if you are looking for the best wireless headphones under 1000 rupees. It can be used with wires or without wires. You can choose the wireless option to go hands-free and use it conveniently. The headphone comes with the card, mic, and FM support. You can rank it as the best budget wireless music headphones in India. The dimension of this 8 x 4 x 10 cm, and it weighs 300 grams. Priced at Rs. 999 it is good to get as it completely justifies its price. 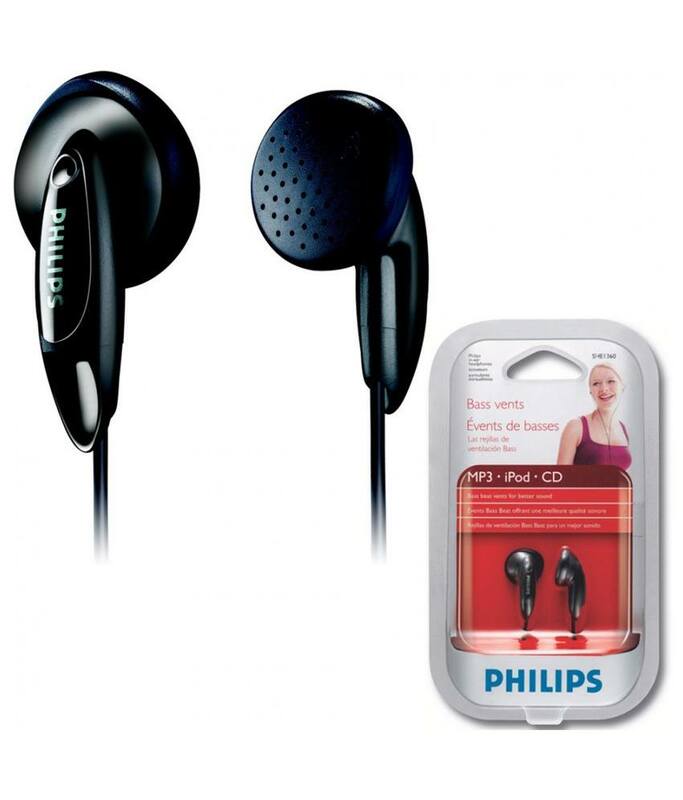 Philips is the well-known brand, and you cannot doubt on the quality of its products. 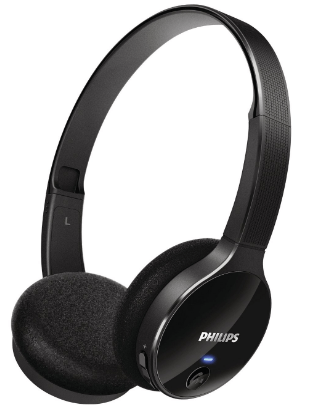 Philips SHB4000/00 is one of the best wireless headphones in India under 2000 rupees. And, the best thing I liked about it is it is quite light-weight; just 73 grams with the dimension 0.6 x 1.7 x 1.5 cm. Its inbuilt battery gives 9 hours backup which is quite nice. The soft cushions used in this headphone provide comfort to your ears. Sound quality is clear and natural which gets generated by its 32mm neodymium drivers. Music and call control are available on the headphone which gives you a great feel of wireless. Priced at Rs. 1,794, it is an excellent headphone which fits in your budget as well as offers great sound quality. This is another nice wireless headphone under 2000 in India. It is currently priced at Rs. 1,269 and works well within 10-meter range. It has automatic controls, and the battery is good, and you can charge it using USB cable. You can use it to listen to songs, talking over the call, and even you can use it while you are on video calls. At this price, it is the real value for money, and you can surely go for it if you have low budget. This is a cool wireless headphone which I have used for a week to write a review of it. The look is awesome, and it has all the necessary controls on its body. I would better like you to read its review by clicking here. It weighs 295 grams. I recommend this headset that also has a mic if you are looking for the best wireless headphones with a mic in India under 2000 INR. It is currently priced at Rs. 1,433. 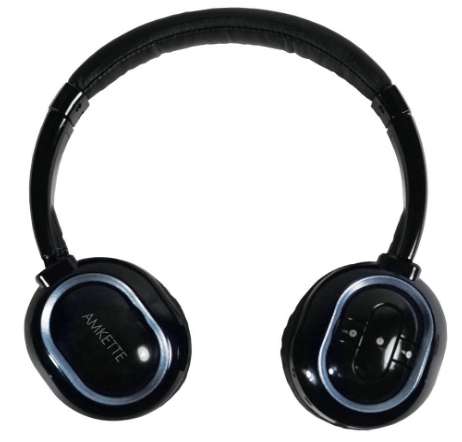 This wireless headphone is manufactured with Intelligent Wireless Technology (IWT). 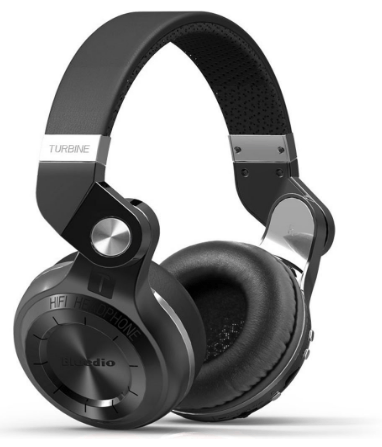 The headphone is designed with 40 mm Neodymium Drivers. The brand ensures powerful and refined sound for a great experience. This is one of the affordable wireless headphones in India under 5000 which can easily fit into your pocket. This wireless headphone is perfect for Gaming, Skype, and other VoIP services which need clear and loud sound. This is very convenient for use with simple plug-n-play feature. It has concealed microphone as well. You can get the benefit of its long lasting battery as you don’t need to charge it again and again. This is quite comfortable to your ears as well. It weighs 322 grams, and the dimension is 24 x 21 x 4.8 cm. Currently priced at Rs. 2,495, it is a good product to go for. 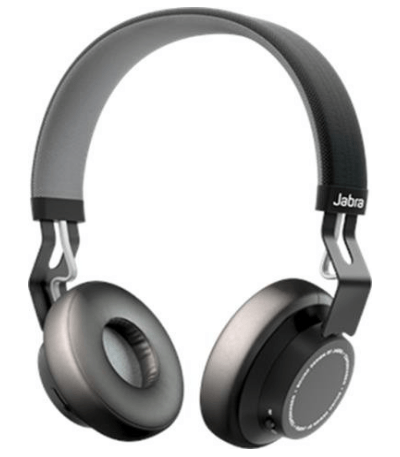 Jabra is a well-known brand for Bluetooth headphones and headsets. This wireless headphone is a nice product to go for because it is indeed one of the best wireless headphones under 5000. It weighs 191 gram which is not that heavy but not too light as well. The dimension is 0.4 x 0.7 x 0.5 cm. Once fully charged, you can talk for 4 hours. Sound quality is the plus point of Jabra Sport Plus. It is water resistant which saves it from getting damaged even if you stuck in the rain. The sporty look and feel of this headphone makes it the best wireless headphone for workouts and even when you are playing. Priced at Rs. 2,898, it’s a nice product. Sony has been my favorite brand for headphones as I love the sound quality of it. It weighs 290 grams with the product a dimension of 20 x 17.8 x 6.8 cm. Priced at Rs. 3,340 this is one of the best wireless headphones on the list when it comes to headphones under 5000 INR. The best suited for listening to music, and even you can use it for business calls on Skype or Hangouts. Its band is quite thin, which doesn’t cover most of your head, and gives a decent look to you when you wear this. The Bluetooth is of version 3.0 which is quite better. It offers excellent talk time and listening music hours such as Streaming audio: 8 hours, Talk time: 12 hours. If you prefer a stylish wireless headphone, this is the best one for you as it looks just amazing. Currently priced at Rs. 2,749, it is the real value for money, and the best thing is you get one-year replacement warranty from the seller on Amazon. All the standard features are present in it such as FM, SD card slot, music control buttons, call control buttons, etc. The bass quality is superb, and this is what we all expect from a headphone. Jabra Movie Wireless headphone is bold in design, and light in weight (150 Grams). It has 4mm omnidirectional microphone. The Bluetooth version is 4.0 EDR. It provides 8 hours battery backup for talk time and for standby 288 hours. The cushions are comfortable for your ears. Currently priced at Rs. 4,820, it is one of the best wireless headphones in India under 5000 INR. The sound quality is above par, and you can enjoy music on the go just like you are listening to music on a sound system in your room. You can enjoy superior quality sound and voice clarity with Avantree Audition pro. It has built-in bass boost which is great for the bass lovers. It is built with the latest technology of APT-X Low Latency. This is one of the best wireless headphones in India under 10000. This is a bit heavy in weight as it weighs 699 grams that you can feel heavier on your head. Priced at Rs. 5,799, it can look like a costly product but the quality of sound it offers justifies the price. The Bluetooth version is 4.1 which assures you good wireless connectivity. Best suited for listening to music for longer hours as its cushions are very soft and give a comfortable feel. On Amazon, it has got 4.2 ratings out of 5 which tell the whole thing about this super cool headphone. The look of the headphone is good, and it’s little bulky as the weight is 499 grams. It offers distortion-free sound quality, and the bass is quite robust. The battery life is quite decent (15 hours). You feel comfortable wearing this headphone. Priced at Rs. 6,294, it is one of the best wireless headphones in India under 10000 INR. Sennheiser is a well-known brand for wireless headphones. 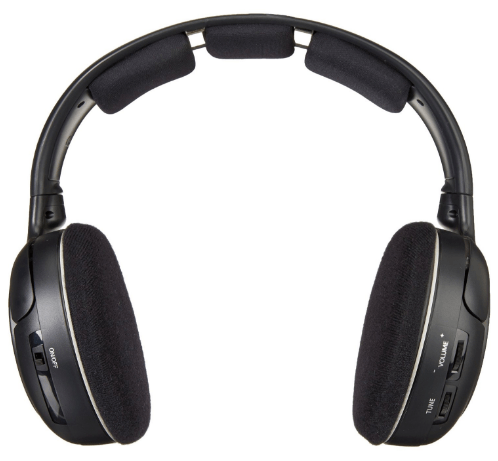 This wireless headphone is well suited to all type of modern music and TV applications. Its range is 100 meters which is quite good, and it means you can use this headphone even if you are 100 meters away from your phone. It weighs 200 grams which means it’s not too heavy not too light. It outputs strong quality sound with great bass. It comes with two years manufacturer warranty. It is currently priced at Rs. 5,449. In short, if you have the budget, this is one of the best wireless headphones in India under 10000 INR. Priced at Rs. 7,047, this is one of the costliest but the best wireless music headphones in India under 10,000 INR. Its slim look and 23 grams weight make it the best suited for working out. Yes, while working out you may want to listen to some great music and for that, you need a wireless headphone. Plantronics Backbeat FIT is the right choice for this. And, the best thing is sweat proof as well which adds, even more, value to it to be used while working out or running around. Technical innovation is all about making our lives easy. The gadgets are becoming more friendly and compact. Bluetooth headsets are one of the prominent examples of how entertainment can be stylish as well as serving the purpose of making calls wirelessly. With increasing innovation and competition in the market, the process of choosing the best wireless headsets could be a tough task. You need to look for various features and factors of the product along with the budget range when you decide to buy one for you. 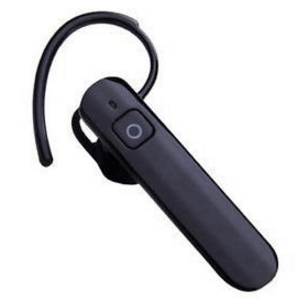 In this blog post, I am providing you a list of 15 Best Bluetooth Headsets in India. Each of the headsets is having good customer ratings and giving you the best features within the price range you can afford. Our list of Best Budget Bluetooth headsets in India starts with very economic yet a well performing Jabra Bluetooth Headset. 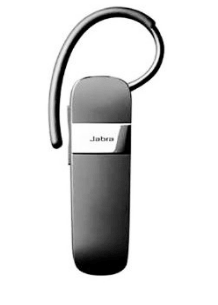 Jabra Bluetooth headset is the complete companion in your busy schedule and taking calls along. Bluetooth connectivity allows you to get in sync with 2 devices simultaneously. It gives you 8 hours of long talk time which is more than enough for day long duration. Appealing design and totally hands-free access make it one of the best Bluetooth headsets in India. Noise reduction technology into the headset makes you listen to accurate voice over the call without disturbance from the surroundings. 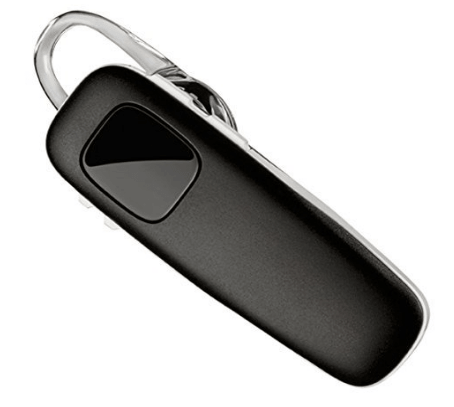 Next on the list of Best Bluetooth Headset for smartphones in India we have Syska H904. It becomes tough to be in touch on the go. 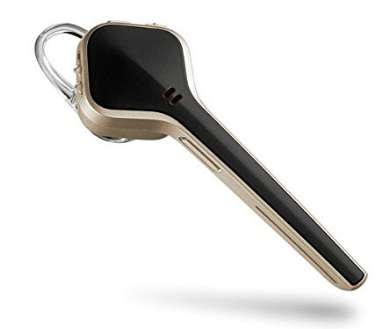 Syska Bluetooth Headset will be your good companion on the move. It has been engineered to give you best of the sound in all types of noisy surroundings. Smart noise rejection microphone enables your caller to listen to you clearly irrespective of the noise and wind. Giving you full control of receiving and rejecting calls, the device can be easily paired with iOS as well as Android devices. Battery display allows you to keep track of the remaining talk hours so that you can charge it before you run out of battery. 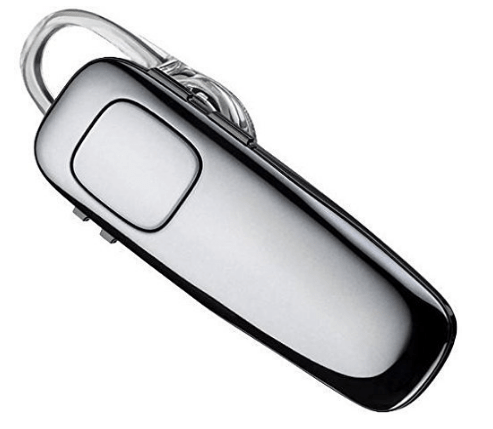 Samsung EO-MG920B is the sleek design and easy to fit Bluetooth Headset. The design is suitable enough to not let you give any pain even after putting it on your ears for 7-8 hours long. It is compatible with almost all smartphones which are having the Bluetooth capability. The only thing where it lags is the inefficiency of playing songs. So you can consider it as true calling phone call accessory. Because of the affordable price we have listed it under Best Bluetooth Headset in India under 1000. In this list of Best Wireless Bluetooth Headsets in India, you will find so many products from Jabra brand. The reason is clear the company has engineered in the concept of providing entertainment to the level of excellence. 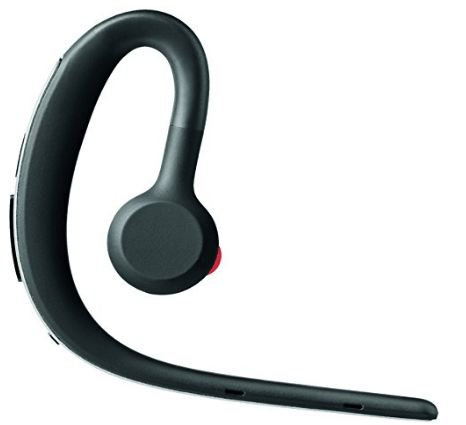 Jabra JBRA1214 gives you true HD audio for your calls and music on the go. Automatic volume adjustment makes it even more convenient to listen. Apart from making calls you can even broadcast multimedia, music, GPS, and podcasts as well. The product comes with 1-year manufacturer warranty against any functional defect. Samsung HM1950 has lot many features under the name. It can give you a long-lasting battery that goes till 4 hours of talk time, 4 hours of music streaming and as long as 150 hours of standby time. Power on/off button allows you to conserve power so that you can use it as per the need. Automatic voice notification tells you when your device is running low on battery, and you should charge it up for next use. Built-in noise reduction and echo-cancellation technology let you have a crystal clear voice even in the noisy surroundings. The headset can be paired with multiple devices seeing which one is closest in the reach. 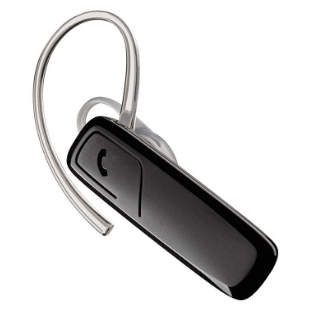 Plantronics ML2 Bluetooth Headset offers you a bundle of features, and that is the reason for picking it for our hunt of Best in Ear Bluetooth Headset in India. With Plantronics headset, you can take your calls while being involved in other works too. Multi-point button over the device gives you options to answer, reject, redial or end a phone call. At one time the device can be connected to two mobile devices. It comes with an optional ear loop to make it fit better to your ears. Simple and easy operation, while attached to the mobile device, makes your palms completely free to grab the other stuff. 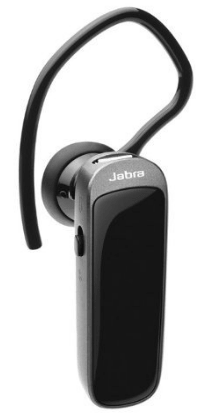 Jabra Mini is the sleekest headset which makes it to our list of Best Wireless Bluetooth Headset in India. Although it is small, it doesn’t compromise in terms of performance. This has been designed to give you all day long hands-free comfort which you can put on either with ear-gels or with ear-hook. Automatic power nap lets the device sleep when it is being disconnected from the device for the extended long duration. Voice guidance tells you the status of your device, when it has made the connection or when it needs to be recharged for power. It can be attached to any of the Bluetooth enabled smartphone giving you more freedom. Wired earbuds are completely old-fashioned and unconventional in the age of Bluetooth Headsets. 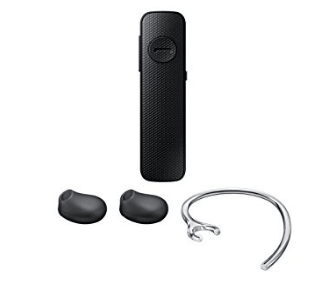 Plantronics Explorer 50 Bluetooth Headset not only gives you access to the calls on the go but you can even get guided directions, play music without touching your mobile phone. Automatic connectivity and guided instructions make it one of the cheap and best Bluetooth stereo headsets in India. Pairing is easy, and you get a voice alert to charge your device before it goes completely zero with the power. Deep power nap mode extends the battery backup so that you can have extended hands-free comfort. This tiny device will never run out of power in the middle of your important calls and will not discharge itself because it comes up with a whopping standby time of 365 days along with sleep power mode. Dedicated on/off slider and volume level controls make it a handy device. With voice guidance, you can command Siri or Google now keeping your phone in the pocket. With the press of a dedicated button, you can activate Siri or Google Now. It looks stylish and gold color makes it look unique among your gadget collection. When we talk about hands-free communication, Plantronics M70 headset can give you countless benefits. Measuring 17.9 x 4.3 x 10.2 cm and weighing 9gm it is easy to wear for the whole day. It becomes an essential accessory for those who are indulged in calls whole day long and have to look after other activities as well. I hope 9 hours talk time would be enough for you to give uninterrupted communication. High definition voice clarity removes all echoes, wind swirls, and other noise intrusions. Manufacturer provides one year warranty to look after any functional defects in the device. 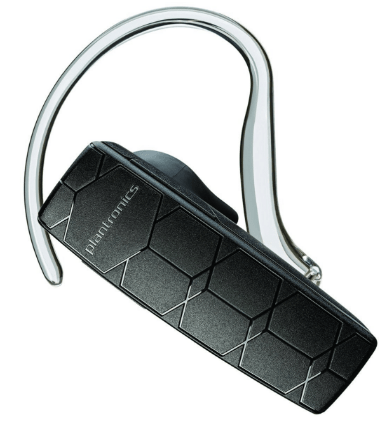 Plantronics M90 stands different of all in Best Bluetooth Headset for smartphones in India. Unique of all it can guide you in 3 different languages. During the first time setup, you will get the chance to select the audio language as English, Mandarin, and Cantonese for guided instructions. You will hear notifications for talk time, battery level, connection and more. You get the full control of music and volume control without touching your smartphone. If you left your device unattended or disconnected from your mobile phone, then itself activates deep sleep hibernation mode to save battery. Answer the calls without even pressing a single button is what makes it one of the Best Wireless Bluetooth Headsets in India. Just speak “Answer ” and your incoming call will be answered instantly. 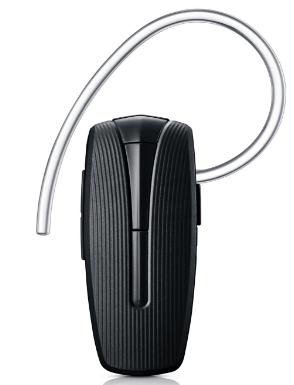 Plantronics Marque 2 is sleek and lightweight. Excellent stereo sound quality that too with a top class design specification is a rare configuration. Get in touch with your music, podcasts, and GPS navigation. It gives you voice instructions for pairing the device and to alert for the battery level. It takes a maximum of 2 hours to charge fully and then capable of playing along for non-stop 7 hours of talk time. Jabra Storm is the high-quality power packed Bluetooth Headset. The headset features microPower technology which consumes very less battery during the use making it last long. The behind-the-ear design is elegant and comfortable to wear for the day long. 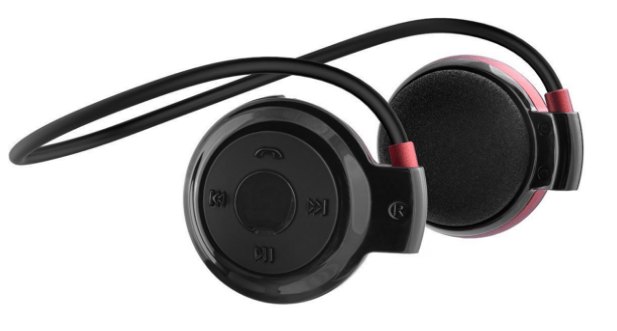 Smart noise cancellation technology promises crystal clear voice on the go. 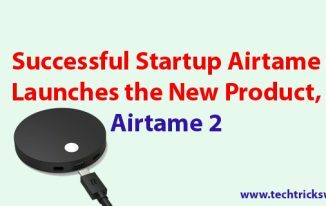 It comes with the NFC feature to easily detect the nearby device and gets connected to two devices at once which makes it multi-use. It features a USB port for charging and physical buttons to control the volume levels. Power nap feature lets it save the energy when not in use. 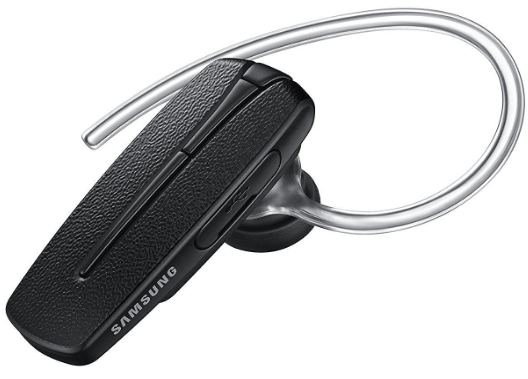 Another tough competitor to be the Best Bluetooth Headset in India we have Samsung HM1300. 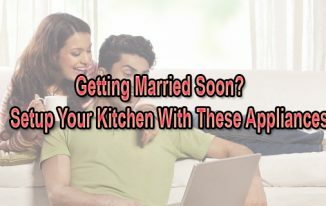 The device is easy to pair with Bluetooth enabled smartphone. It detects the nearby Bluetooth and connects automatically without asking for a passcode. Speed, comfort, and compatibility are the features which developers have emphasized to make it the Best Bluetooth Headset in India. Fast charging and easy on battery give you comfortable 9 hours of talk time on the go. Dedicated power off button lets you save the power when not in use. We will conclude our list of Best Selling Bluetooth Headset in India with Voyager Edge. The headset configuration has multiple microphones to let your caller listen to you clearly. Using voice commands, you can take or reject the incoming calls. Just say “Answer” to pick the call and “Reject” will reject the incoming phone call. The headset is one of the true examples of elegance in design being true to the performance. Premium noise canceling makes sure you listen in the bustling environment as well. 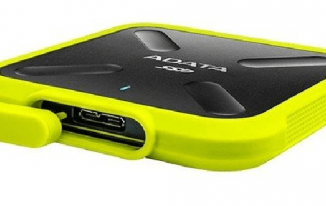 Portable charging case enhances the reach to use on the go. For music lovers, earphones are definitely the boon. When we are on the move, these gadgets double the entertainment. Earphones are the basic need to carry in your handbag while going to office, outdoors or even at home. Earphones have been in use for decades for awesome sound quality. Before smartphones, Walkman was the first choice to play your favorite songs on the go. Personally, I have also used it in the 90s. These days, Smartphones have no limit to store hundreds and thousands of tracks and earphones give better sound quality with no noise. So, we have listed the best earphones in India under Rs. 500, Rs. 1500 and Rs. 2500. I have listed these earphones carefully from exclusive reviews and personal use as well. Amplify your music experience with the best earphones in India listed below. When it comes to specifications, Philips SHE1360/97 is just impressive and amazing. 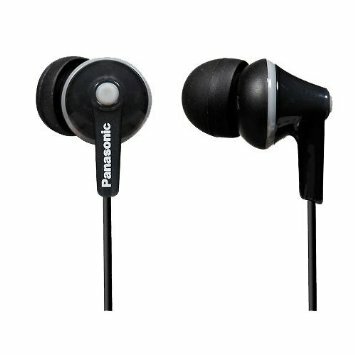 It features 15mm dynamic drivers which are large enough for ear-buds. These headphones are comfortably loud. With up to 16 to 20,000 Hz of frequency, the headphones have impedance and sensitivity measuring at 160hms and 100dB respectively. Well, there is no specific design to talk about. These earphones are as simple as their price is concerned. 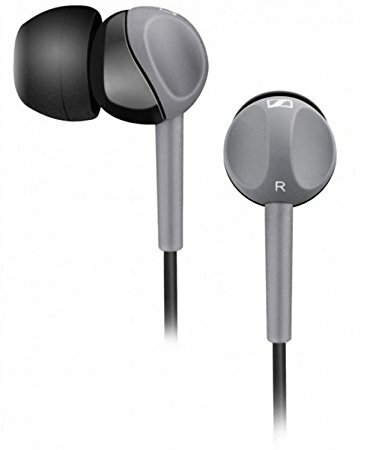 These are Best Earphones under 500 Rupees with actually small bass vents so the sound can be comfortable even with the movement of air. It has rubber coated 1m long cable which easily runs from your phone to ears. It is vulnerable to tangle but has no cable noise. With silicone ear-tips and tangle-free flat cords, Blaupunkt EP570 is the best choice to listening to music during morning walks to enjoying crazy remixes on your device. They have decent bass and versatility. On earphones, call quality is good. One thing which turns you off is the slide volume control mechanism that seems to wear off soon. It also has individual appendages for volume control on the cable and microphone. Overall, it is one of the best earphones in India with good value for money, particularly for those who love distortion-free music. It is a great leader among canal type phones with ErgoFit Design to provide ultimate fit and comfort. With up to 8 times more robust magnetic strength, neodymium magnet is more powerful than common Ferrite magnet. 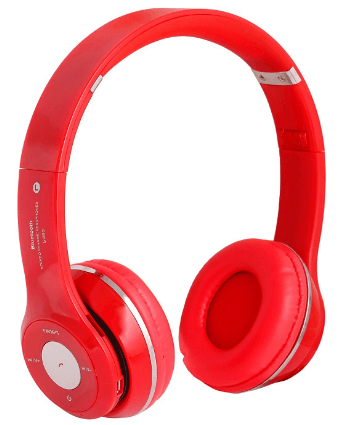 It features 20Hz to 20 kHz of frequency, 8 cute color options, and 3 size ear pads for comfortable fit. The earpiece features Ergo Fit Design that is usually semi side-ported nozzle that can be found in large number of IEMs. The oval nozzle is another interesting part, which brings same effect without using special ear-tips. The ear-tip turns oval shaped which fits your ear canal well. Despite the fact that fit is quite decent, it has poor isolation due to the vents on both back and front of housing. It is an ultra lightweight, dynamic in-ear headphone. It features 9mm powerful drivers to give a great base response and sound quality. For daily comfort, it is feather light and one of the Best Earphones under 1500 Rupees. It has an in-line microphone which has universal remote control so you can manage your calls on iOS and Android devices. It comes with 3 ear-tip sizes so you can choose a size to give most comfortable listening even for longer periods. With one touch, you can answer and manage calls. The 1.2m long cable can easily run between your ears and phone, making it one of the best earphones in India. This in-ear earphone is the perfect companion to all your devices. With sturdy design and comfort fit, this earphone fits well with all your devices through its 3.5mm audio jack. It gives the acoustics to your ears like no other. It has a set of ear caps of different sizes. So, you can use one which fits your ears well, and earphone never slides off. It has 1.2m long cable to give enough space between your device and ears. It features finger-contoured housing design to give easy adjustment and sleek look for cozy wear. You can carry it wherever you need while shopping, traveling or even a walk. It has been designed with Bass-driven Stereo technology which gives intense and impressive bass. 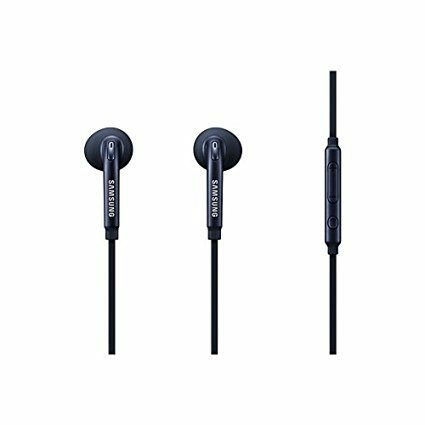 These best sound quality earphones in India have technologically advanced design to cut peripheral noise to stay entertained without any external noises. It features Ace sound quality and great engineering, making it a great must-have accessory for those who are born for music. While listening to music, one thing which bothers me the most is outside noise. This earphone comes with technically advanced features with 16 Ohms of sensitivity. With its modern and excellent technology coupled with an eye for design, Samsung brings you EO-EG920BBEGIN in-ear earphones with mic. These are the best sound quality earphones in India offer freedom to manage calls without compromising sound quality for music lovers. These earphones have a long cord. So, there is no need to worry about carrying your phone or iPod on hand or sit too close to the laptop. It has a 120cm long cord. These well-toned earphones offer clear and loud sound with frequency ranging from 20 Hz to 20 kHz. The enhanced bass earphones provide sound quality like never before. Crazy for bass? Sony has brought something special for bass lovers. 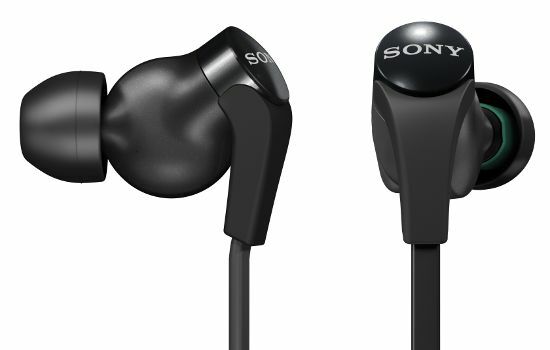 This In-Ear Extra Bass Earphone from Sony is the best choice for music buffs. With powerful bass duck, this in-ear headphone delivers top quality audio all the time. With its silicon hybrid earbuds, it gives maximum comfort. It also keeps background noise at bay. It is one of the best earphones in India comes with sophisticated and sleek design to enhance your style. Sony MDR range comes with well designed 12mm driver unit that can deliver and produce crisp sound quality. The budget earphones in India also have in-line remote control with mic. So, you can play, pause and manage volumes easily. As headphone features serrated cord, there is nothing to worry about tangling wires. It has several color options and 1-year manufacturer warranty. Let loose with extra-base of these in-ear stereo earphones. The 13.5mm driver units and Advanced Direct Vibe Structure in these budget earphones in India pump out ultra clear sounds and intense base. 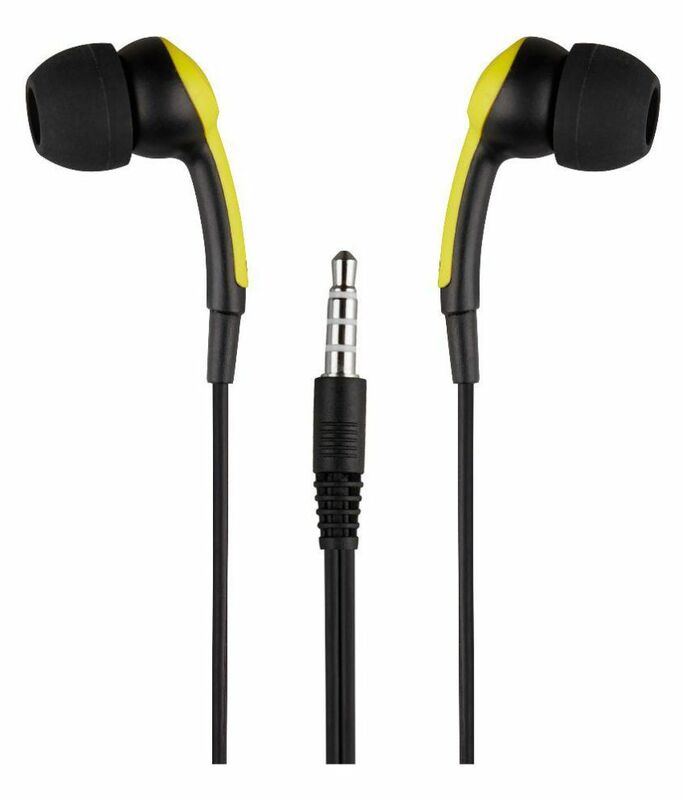 It features soft hybrid silicone earbuds that are available in four sizes for excellent sound isolation and perfect fit. With the soul-stirring and mind-boggling power of Extra Bass, these best sound quality earphones in India get your music alive with great punch. The 13.5mm XB drivers give powerful bass, and high energy neodymium magnets provide well-balanced sound. The tangle-free serrated cord makes this earphone easy to carry. These Smokin Buds budget earphones in India have world-class features and compact design to listen to music in style. 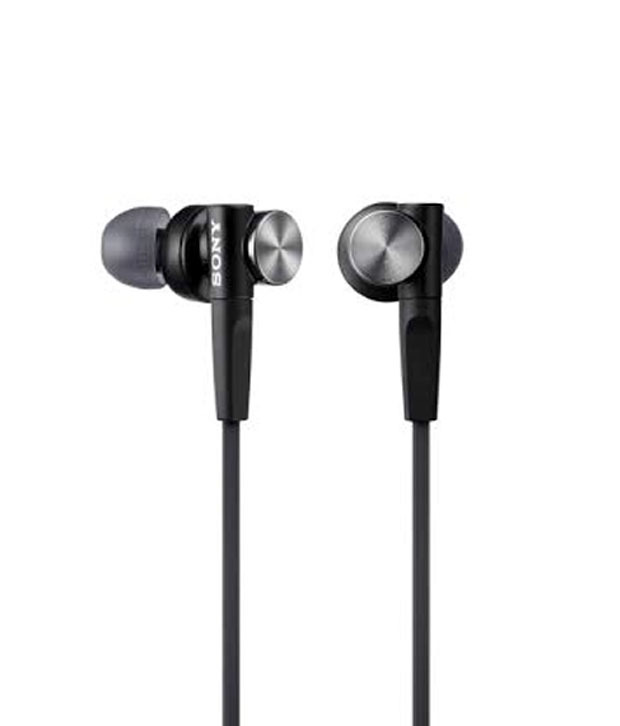 It has got good looks with black color and is one of the Best Earphones under 2500 Rupees. The oval shape and angled design let it fit in your ears well. 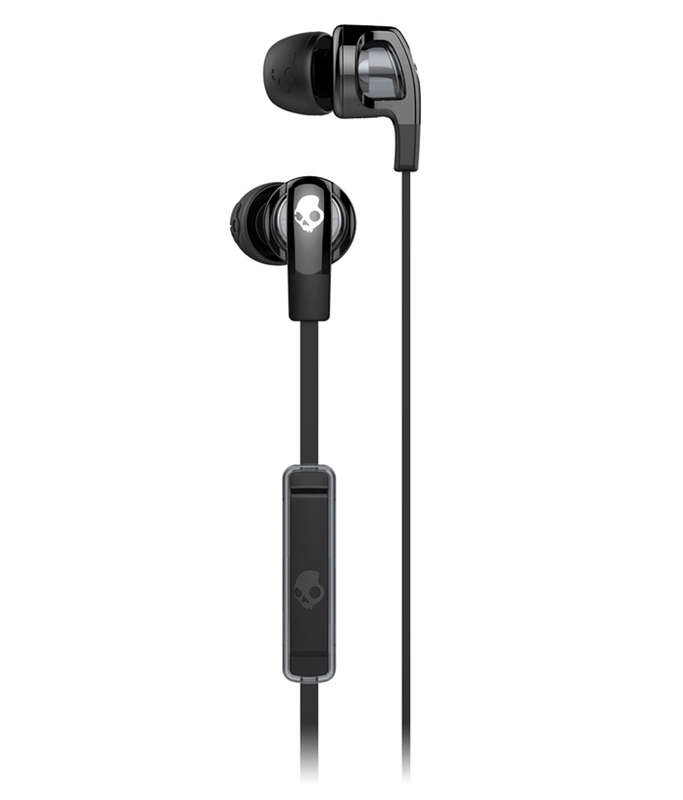 Skullcandy has designed comfortable earphone with 1.3×1.3×1.3cm of dimension and light weight. It also avoids outside noise to enjoy your favorite music in its true flavor and quality. The attached cable is designed well to avoid tangling. Good earphones without a mic and in dull color have become the thing of the past. 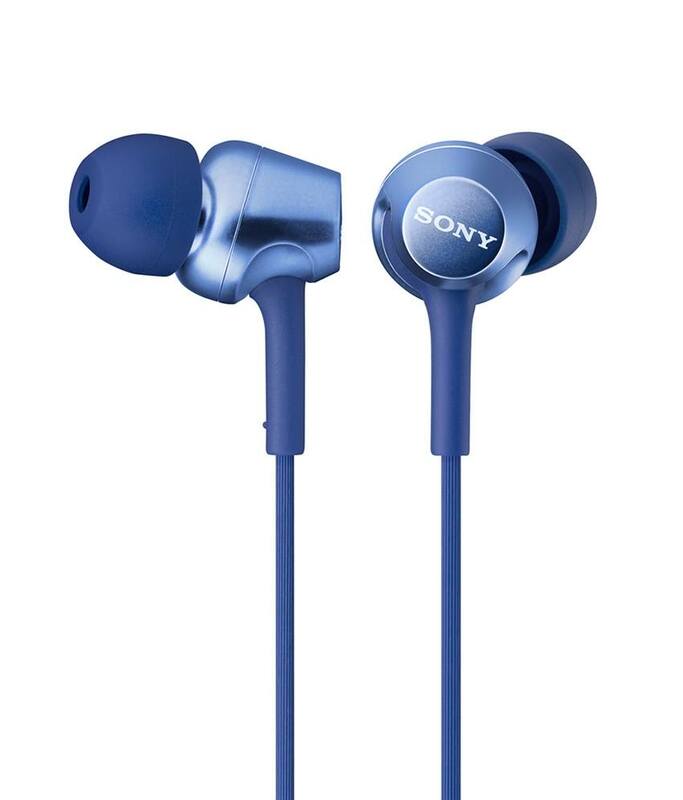 Now you can feel the clarity of treble and midrange sounds and extra thumb of bass with powerful neodymium magnets featured in Sony MDR earphones. It is packed in new bright colored buds and best technology of sound. Match these best sound quality earphones in India with your daily style or flaunt your favorite color every day. 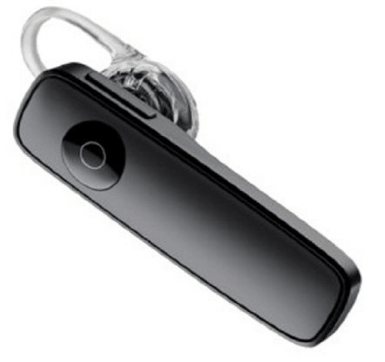 It has inbuilt mic access to attend any call or record voice messages with one touch. These budget earphones in India feature retro design and metal bass. These earphones are made of brass to cut unwanted sound propagation and vibration by enhancing the diameter and bass. Feel the acoustic guitar, strong bass and listen to some rock with more robust headsets by Sony. Different people have different choices. Some love to use wireless headphones whereas some want to use headsets, and people like me who don’t love to keep a big thing on the head, want to use simple earphones. I hope this list is a good resource for all the music buffs. Note: Product images are taken from the product pages on Amazon.in. Prices mentioned in the article may vary with the time. These headphones look so stylish and modern. I like how they’re all wireless because I transport a lot over places. I like Sennheiser headphones as I have had one before, they fit so well on my ears. Thanks for introducing all good brand with reasonable price like this! I am using Avantree Audition Pro Bluetooth V4.1 Wireless and this is awesome. The sound quality and the buzz is very perfect. I just saw you share this article, great information…! You sure have done a wonderful job here explaining each headphone. I like #3 the best because it is light weight and it looks so cute! I wouldn’t mind walking around with those on. I had been using ear pods but they were causing irritation on my ears. It’s headphones for me all the way these days! Glad you liked the list and specifically the 3rd one. You can get the same from Amazon.com as well. I am looking for wireless headphones which are sleek and not clunky to wear and which would offer maximum sound cancellation. The no.5 Dell byte corseca and no.15 Plantronics backbeat look promising based on their design ( I find over the head a bit awkward to wear) but not sure about noise cancellation. Please suggest which one to choose. Also if there is a better option please do suggest. Thanks for coming by, and asking your question. Most of the good headphones are over the head mostly. no. 8 and 9 may be good for you since the number 8 won’t look bulky overhead. 9 is also good for you since its over the head line is slim. 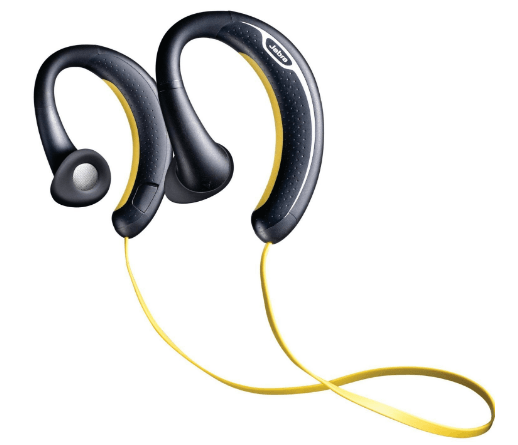 Moreover, I will recommend you the 8th => Jabra Sport Plus. It’s cool! Hi Atish suggest me an extra bass wireless headphone under 3000. I think #10 is fine for you within your range. It has really cool bass. I am planning to buy a bluetooth stereo headset with good bass , sound and great battery . Pls suggest me within 3000 Rs . Thank u sir . You can choose any of the listed ones as per your budget. I am currently using this one => https://www.techtricksworld.com/tagg-inferno-bluetooth-headphone/ And, I find it great. Battery lasts longer, and bass is great too! Do check this out. Thank you for this list, it is very helpful and informative. I need your help in selecting wireless headphones under Rs. 2,000. 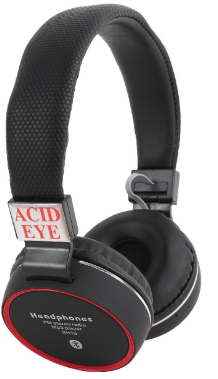 I wanted to buy the Acid Eye headphones that you recommended, but they are currently unavailable. I can see that Acidy Eye is available on Amazon India (http://amzn.to/2cjJ5sC). If you like that, you can wait for them to avail this on the site. Sometimes it goes out of stock because many people are buying it. Apart from this, as per your list, you can go ahead with iball or Lifelike solo. It also depends on your range. May I know What is your budget for this? A great list of earphones. You should also include SoundPeats QY7. It has the best features for its price. Thank you Atish for this list! I agree that choosing a headphone is a personal preference, and it also depends on what you need it for. 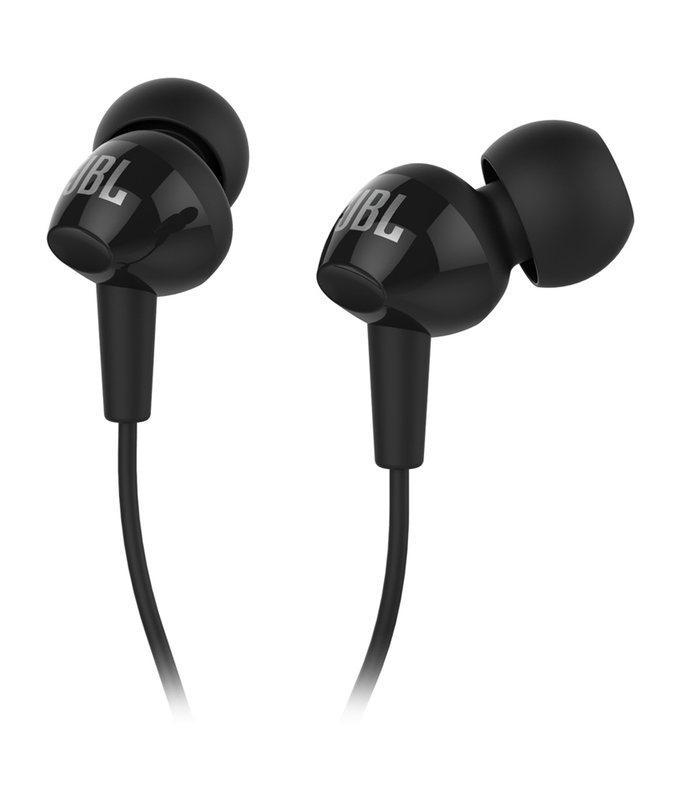 I personally tried the JBL in ear headphones, and they are great for everyday use. 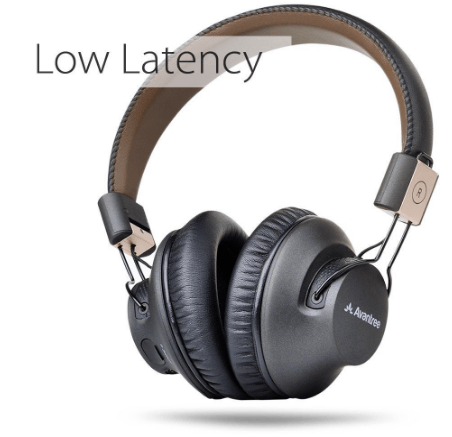 Alex recently posted…Casque bluetooth pas cher : comment trouver le bon ? 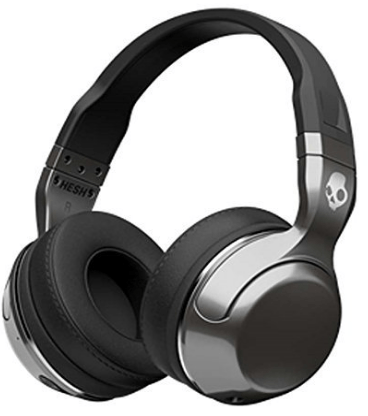 I found a great product after testing so many products, landed on your blog after reading your post and review it help me to select a good one I chose Skullcandy Hesh 2 Wireless Headphones and its good according to me. They all are good ones and it’s also depends on your budget. Go for Sony MDR I would say. Moreover, all you have listed are nice.